Was It Photoshopped or Not? Gaining popularity as a powerful graphic design software, Adobe’s “Photoshop” has since become the single-word term for image adjustments and photo manipulation. Today, there have been several iterations of this word, such as “belo-shopped” or “body-shopped” and all sorts of similar terms used to point out the endorsers of a popular cosmetic doctor. I Photoshop, you Photoshop, we all (or most of us have tried) Photoshop. This makes me curious – do you still trust the images you see? Do you still believe what the naked eye sees is the actual image that has been captured by cameras? Editing images will not end anytime soon. In fact, I have had my share of shooting photos of people and trying to edit my shots to remove blemishes, pimples, and dark eyebags. I boost the brightness and decrease the contrast. I remove unwanted items in the photos to make it look cleaner. All these in the hope that someone comes along and says, “Look at my face back in 2010. My skin looks so vibrant and I managed to sleep well during those days.” When, in fact, it was full of unsightly ugliness that you wanted to hide. This problem is actually not new. I believe we all remember the failed DPWH Photoshopped image that happened several months back. Their apologies didn’t seem clear to everyone, because it was as if photoshopping the images is really part of what they do, saying “it was not cleared yet before the staff posted it.” Whatever the case, how is clearing photos any different from Photoshopping? Then we have those huge billboards and costly magazine covers that show flawless skin, perfect-shaped bodies and huge breasts of women. I remember seeing a picture of a popular celebrity with elongated fingers, and another, a before and after photo of a woman’s trimmed mid-section. Why oh why do they need to ride on the celebrities’ popularity then fool the public? Back when there was still no Photoshop, people did not have to crop and insert elements, then polish the image using a healing brush tool. They did not have to use filters and brushes to create effects of olden times. It took more hard work and talents to shoot magnificent photos. That was all prior to Adobe Photoshop. 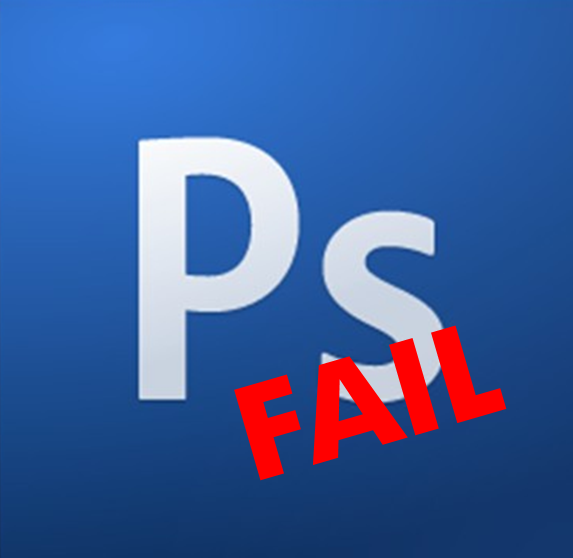 We can’t blame ourselves for using Photoshop, or them, the creators of Photoshop. All they had in mind was to help people to make their images look better. However, because of Photoshop, the credibility of images has fallen to an all-time low. In my opinion, no image can be trusted. Thankfully, innovators have started to come up with software – we can consider it as a Photoshop CSI – which helps identify what aspects of a certain photograph have been altered. Through this, the public, especially young women, won’t have to result to excessive dieting causing eating disorders after seeing the highly edited and digitally Photoshopped celebrity icons in fashion magazines. So, do you still trust the commercials and advertisements you see? Let me know. Email glichslife@glennong.com or Tweet @GlennOng. This article is my 52nd contribution to Manila Bulletin -- one of the Philippines' leading broadsheets -- published on January 09, 2012 (Monday) in the TechNews Section. You can view the PDF version here (lower left portion).